Warm, sunny day with a lovely light breeze. 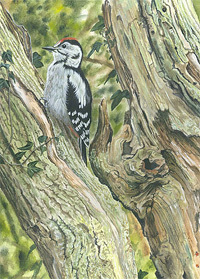 Went for a walk in Langden Valley, hoping to see some Redpolls, no luck though other people had spotted them. Saw Oystercatchers mating by river. 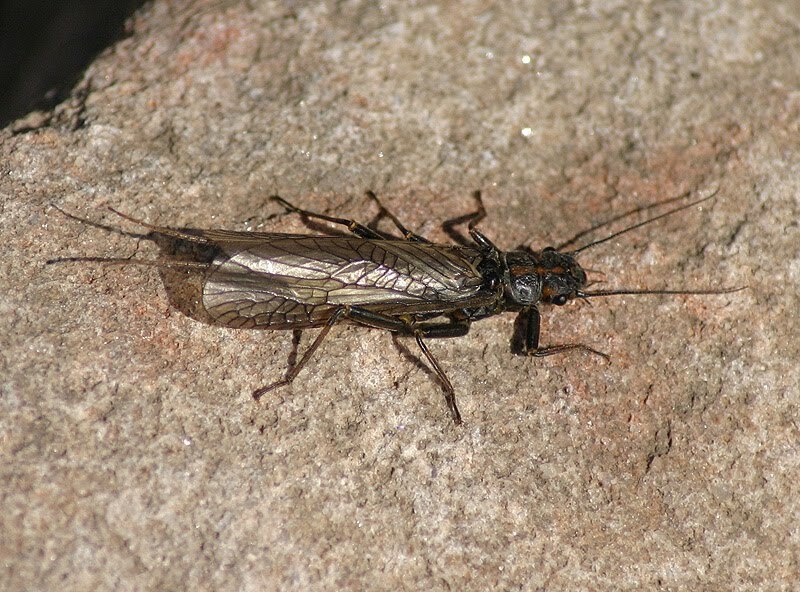 Lots of Stoneflies out sunning themselves on rocks by river. 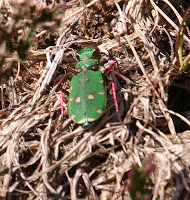 As the path climbed, started to see a number of Green Hairstreak butterflies and the occasional Green Tiger Beetle darting amongst the heather. Then I saw what looked like the shadow of something else dance across our path and at first thought what on earth is that newt doing. Then I realised it was a dark coloured lizard. We saw at least 3 more of variable size and colour - one being almost golden with a stripe down its back. 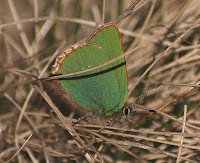 We then had an evening walk along the river in Dunsop Bridge and spotted Willow Warblers singing on the gorse and watched a Kestrel get mobbed by Crows. 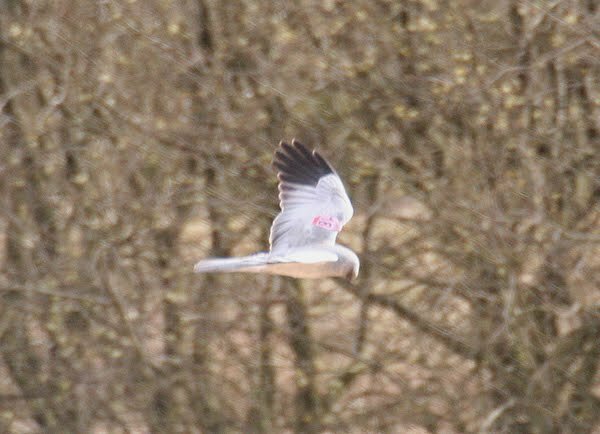 Driving past Cross o' Greets, saw a male Hen Harrier hunting, surprised by the size of the pink tag on his wing, (no.18). 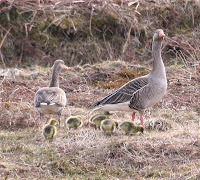 There was a family of Greylag geese nearby and I wondered if the Hen Harrier would take one of their chicks. 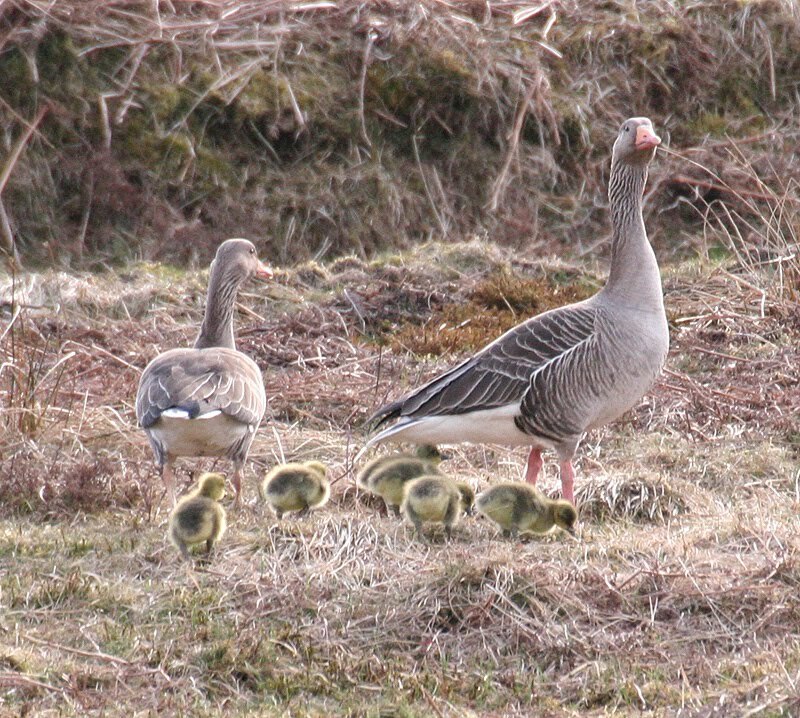 The six chicks were exactly the same greeny yellow as patches of moss and were only visible when their parents started to lead them away up the slope. We had heard reports that an Osprey had been seen up at Stocks Reservoir over the bank holiday weekend so we thought we 'd go up and see if it was still there. Sadly we were out of luck but a sighting of a male Hen Harrier flying over the shallows near the bird hide more than made up for this. We also saw several pairs of Canada Geese and watched the Cormorants sat on driftwood drying their wings in the sun. 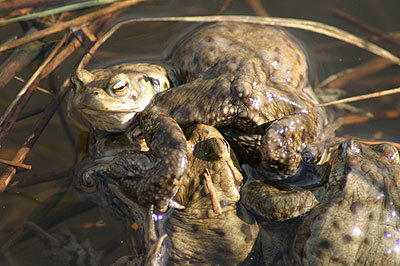 We went round to the cafe up at the fishery and were amazed at the number of toads crawling about. We walked down to the shore line and saw several "balls" of toads made up of about half a dozen individuals in the shallows and there were plenty of other toads heading for the water or swimming about. I have never seen so many toads in my life, it was an incredible sight although it did make me paranoid about where I was stepping! I did try to move one and it gave a very indignant squeak. 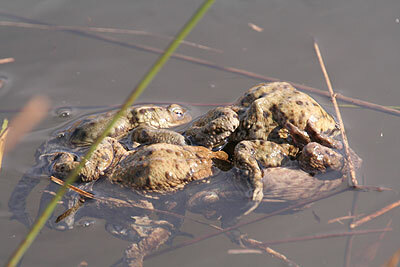 We could also hear them croaking all around in the shallows. 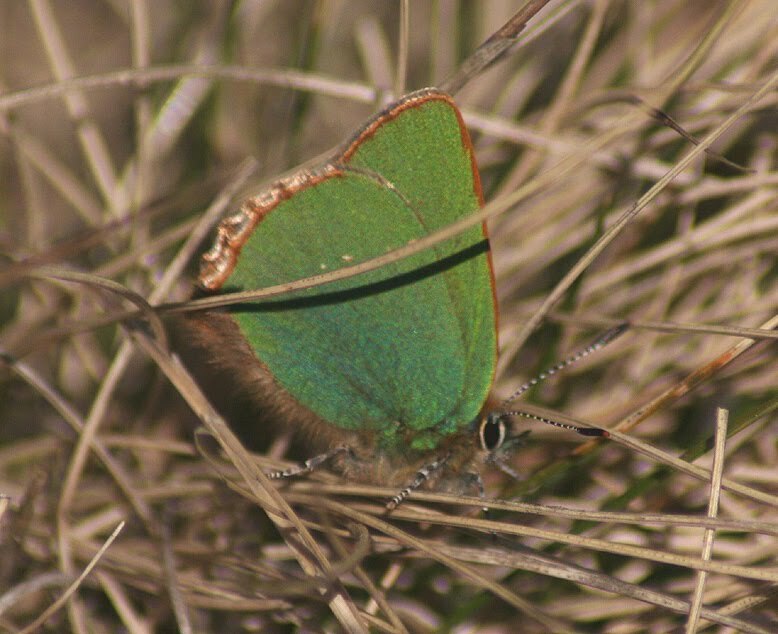 Wood anemones and Primroses are flowering now and the Hawthorn leaves are starting to unfurl.